Goal: Deliver lasting water, sanitation, and hygiene solutions for every child. We believe God created and loves every child in the world, and each one deserves access to life’s basic needs. That’s why, as part of our full solution to poverty and injustice, World Vision partners with communities to deliver lasting water, sanitation, and hygiene solutions that give an opportunity for children to experience a fuller life today and into the future. Clean water is foundational to life, which is why it is often one of the greatest needs in communities where World Vision works. Clean water helps free children from deadly, preventable disease. 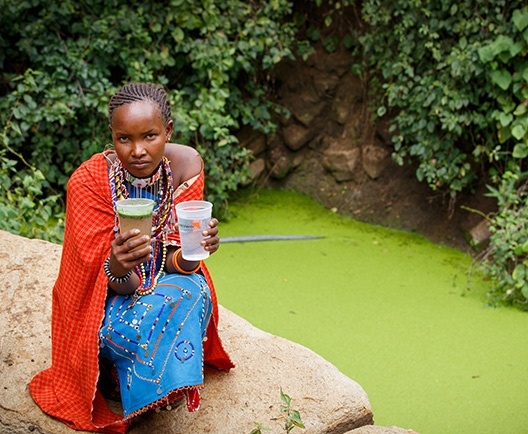 Clean water liberates women and children from a life spent gathering dirty, contaminated water. Clean water restores health and opens the door to education, a promising future, and the kind of life God intends for His children. Join us in leaving a generational legacy by ending the global water crisis within our lifetimes and pointing people toward the living water found in Jesus, which serves as a powerful image of our dependence on God. Children lead healthier lives, and child death rates decrease due to a decline in water-related diseases. Families have the resources necessary to water crops and grow healthy food, leading to better nutrition for children. Parents are freed from the constant burden of finding and carrying water, allowing them to better provide and care for their children. 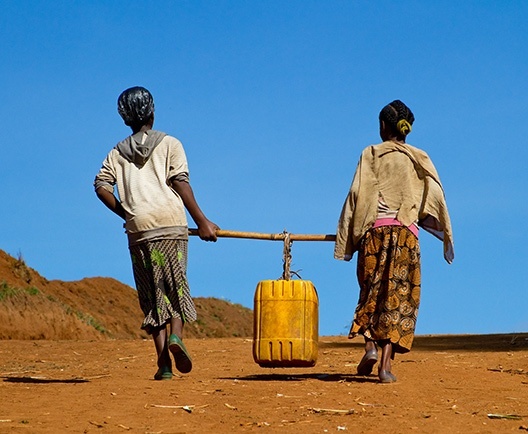 Globally, women and children spend 200 million hours collecting water each day, often making multiple trips. World Vision is the largest non-governmental provider of clean water in the developing world, reaching one new person with clean water every 10 seconds. For 30 years, World Vision’s work in clean water, improved sanitation, and hygiene has resulted in deep expertise and a refined approach to reaching people with clean water. Applying experience derived from decades of work, along with constantly piloting and testing technologies, allows us to continually increase efficiency and expand our reach year over year. 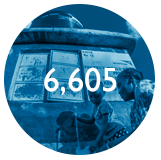 World Vision has more than 700 in-region water, sanitation, and hygiene experts among our 46,000 staff worldwide. Our teams of technical experts use cost-effective, proven approaches to co-create sustainable water, sanitation, and hygiene solutions that last. As residents of the countries where they work, they know firsthand the culture, history, and the unique water-related needs of the areas they serve. World Vision’s work results in water that continues to flow in thousands of communities worldwide. An independent study conducted by one of the premier academic groups in water research, the University of North Carolina Water Institute, showed that nearly 80 percent of World Vision wells studied continued to function at high levels even after 20 years. * This significant increase above industry standard is thanks largely to our integrated community engagement model. The core component of our model is the formation of water, sanitation, and hygiene committees who collect small fees to pay for water point repairs as needed — an approach that helps ensure communities have the knowledge and financial resources to keep their water points working smoothly. We train community members in operation and maintenance before any water infrastructure is installed. 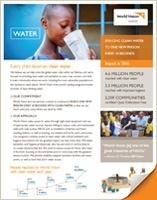 World Vision also develops the most appropriate clean water source for each community. 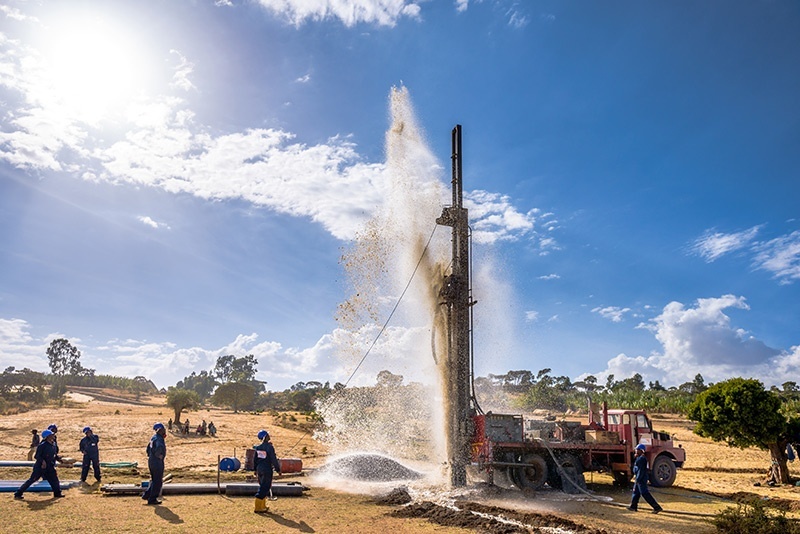 We use many different types of wells — shallow, tube, borehole, hand-dug, machine-dug, and deep-water — in addition to mechanized, solar, and gravity-fed distribution systems. When fresh spring water is available, we can protect and cap it to provide water to nearby communities. And we often use rainwater-harvesting systems to provide clean water at schools. Because we invest an average of 15 years in a community, local people take ownership of the water points and are equipped to maintain and repair their water sources for long-term sustainability. 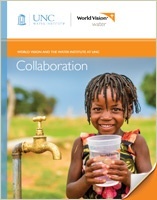 *2015 University of North Carolina Water Institute study examined 1,470 water sources in 570 communities located in the Greater Afram Plains region of Ghana, where World Vision has been providing wells since 1985. In September 2015, World Vision was reaching one new person with clean water every 30 seconds. We announced a plan to scale this pace up to reaching one new person with clean water every 10 seconds by 2020. With God’s grace and the help of our donors and partners, we achieved this goal in just one year. With continued support, we are on pace to reach everyone, everywhere we work with clean water by 2030. We believe the global water crisis can be solved within our lifetimes, and we’re focused on providing clean water and improved sanitation to every man, woman, and child in every community where we work, especially the most vulnerable populations in the hardest-to-reach places. World Vision recognizes that these visionary achievements cannot be accomplished alone. We are privileged to partner with individual donors, foundations, corporations, national and local governments, and nongovernmental organizations to accomplish this life-saving work. These strategic partnerships enable us to build technical expertise, implement innovations, and collaborate to increase our effectiveness. A new friend from Sesame Street™ is partnering with World Vision to spread the word about the importance of proper sanitation. 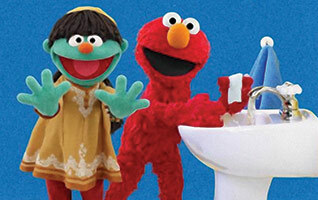 Along with her friend, Elmo, Raya is teaching children around the world about healthy hygiene and sanitation behaviors that can dramatically improve the health of children and their families. Read more. World Vision reaches an average of three new schools every day with water, sanitation, and hygiene interventions, which increase school attendance and overall child health. In much of the developing world, women and girls bear the burden of collecting water for their families. They must often walk for miles in search of dirty water that may be contaminated. This time-consuming chore not only increases the vulnerability of women and girls to violence, but also prevents them from attending school, impedes the ability of mothers to care for their children, and takes away the opportunity to earn an income. On average, World Vision drills, builds, or rehabilitates thousands of water points every year that provide women and girls with a reliable source of clean water near their homes. We also incorporate a menstrual hygiene management component for older female students to educate them about women’s health and enable menstrual hygiene care. Forbes ranks World Vision's Water program as one of the best investments if you want to change the world. Longtime World Vision partners, Dave and Dana Dornsife, are the primary focus of a comprehensive review of all the recent big bets in philanthropy in the December 2017 issue of Forbes. 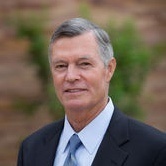 A panel of 10 independent judges was convened by Forbes and the Bridgespan Group to evaluate nearly 60 gifts of $25 million or more. The Dornsifes recent $40 million investment into World Vision's Water, Sanitation, and Hygiene Program ranked in the Top 5. 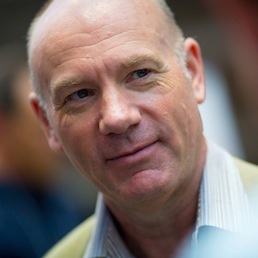 The article highlights their trust in World Vision and explains how their bet excelled in each of the six criteria used by the panel to determine the investment most likely to have the highest social impact and move the needle in changing the world. From the country director to the person who runs the operations of the drilling crews, [World Vision staff] are highly educated, very experienced people. And that’s what really makes the difference. World Vision is to be congratulated. 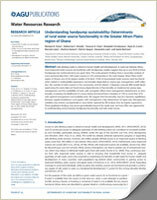 This study (see the main section) showed a high level of functioning of World Vision wells based on having a water committee and charging a small fee to ensure funds were available for their repair. 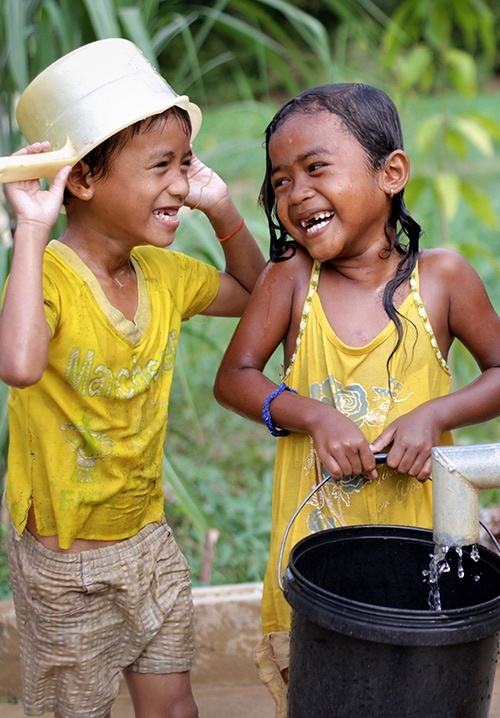 Create your own fundraiser to support World Vision's Water fund. It only takes a few easy steps!